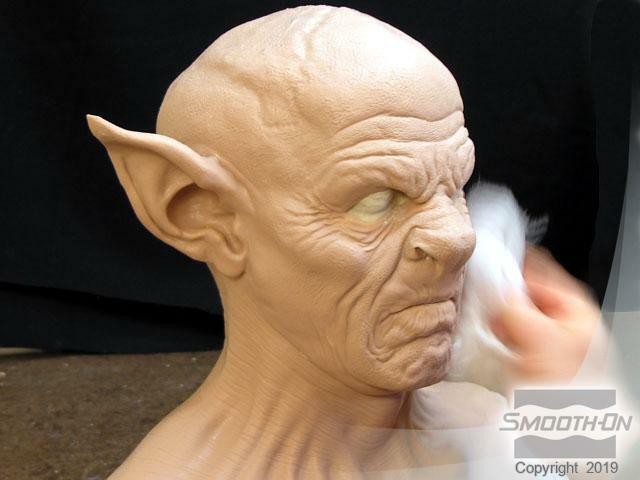 SPFX masks are extremely high quality wearable masks made from state-of-the-art silicone and designed to conform to your own face. 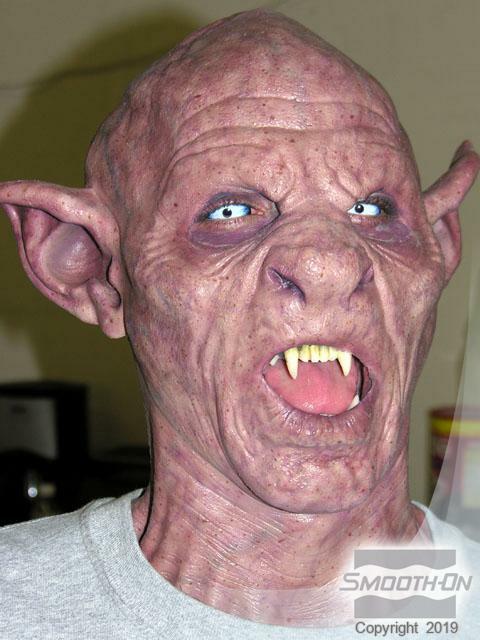 Our silicone masks are very unique and are an industry First. 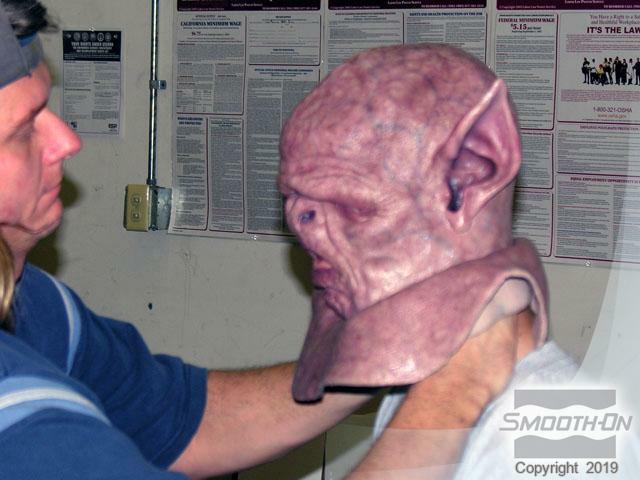 SPFX masks invented, designed, and introduced the FIRST-EVER silicone masks. 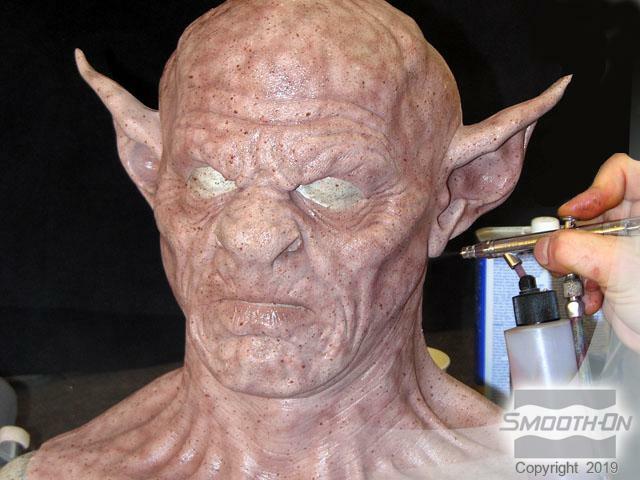 Unlike foam latex or slip latex masks, SPFX silicone masks look and behave like real flesh and muscle. Each mask is hand-crafted individually with a meticulous eye for detail. The sculpting and coloring is created to add ultra-high realism to each hand crafted mask. 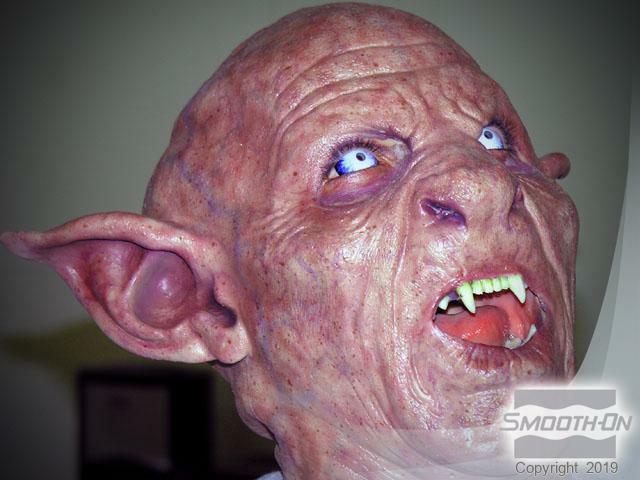 SPFX masks is the haunted house choice for professionals and used in haunted houses all over the world! 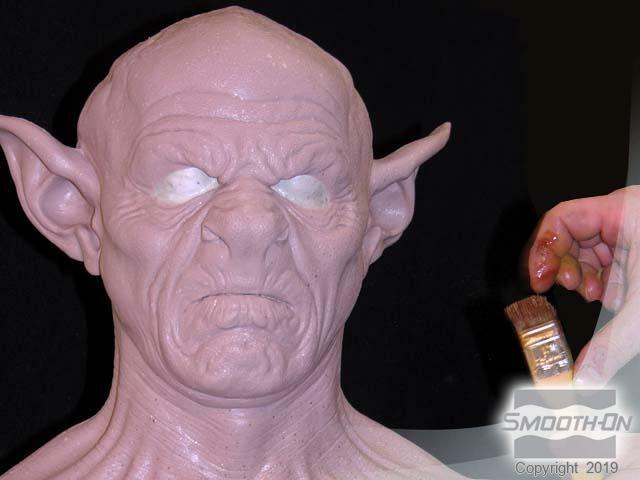 SPFX chooses Smooth-On materials for their mask making, as our variety of silicone rubbers and accessories makes us a 'one stop shop' for the SPFX crew. 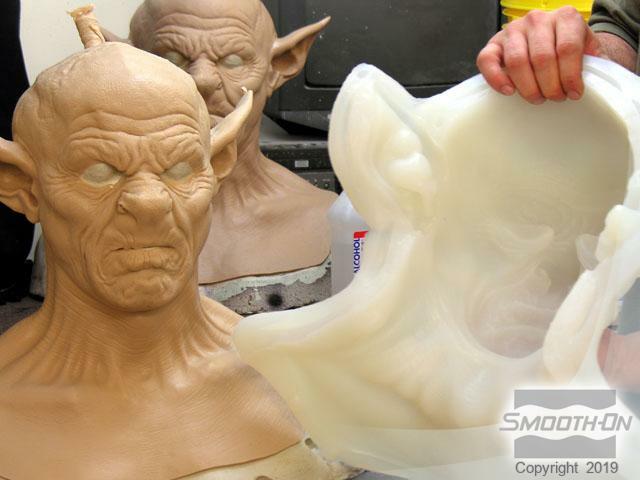 Smooth-On platinum silicone is poured into a silicone mold. After curing, the casting is removed. 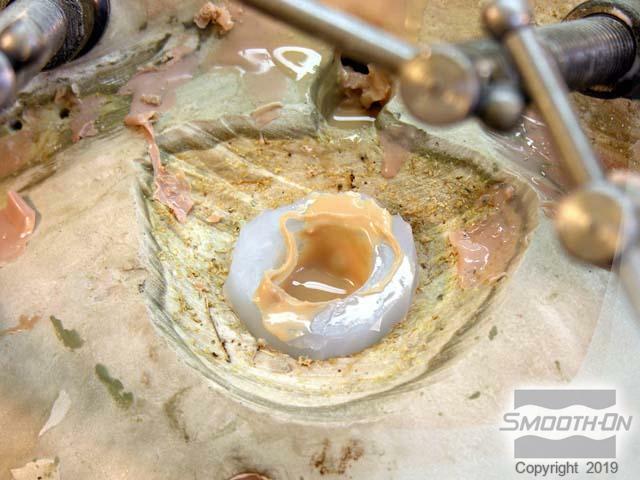 The mold release is removed and the surface is cleaned with a solvent. Psycho Paint is mixed and pigmented. It is them applied with a 'stipple' technique. An airbrush is used to apply mor Psycho Paint in a vein pattern. 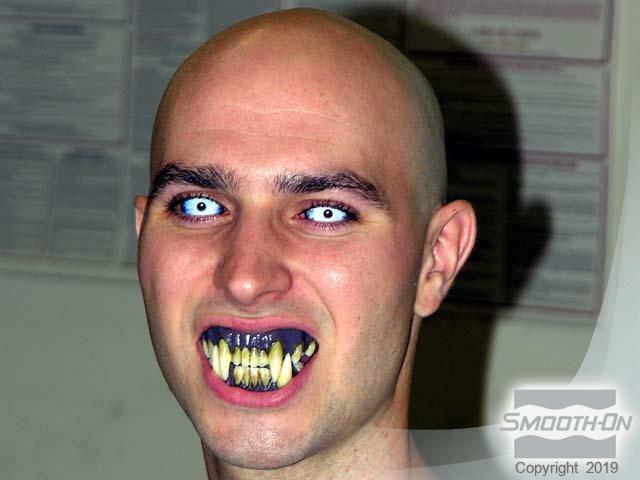 The model is prepared with dentures and contact lenses. The mask is slipped over the model's head. The stretchy silicone moves with the model's every motion. This comfortable mask will last many years.